I will be there at 4.20pm. Stuck in kl now. Thanks for organizing this for us Brian. Cheers!! 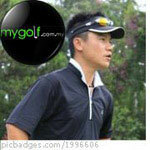 Not to forget Titleist SEA for giving us a special slot just for MyGolf.com.my members.